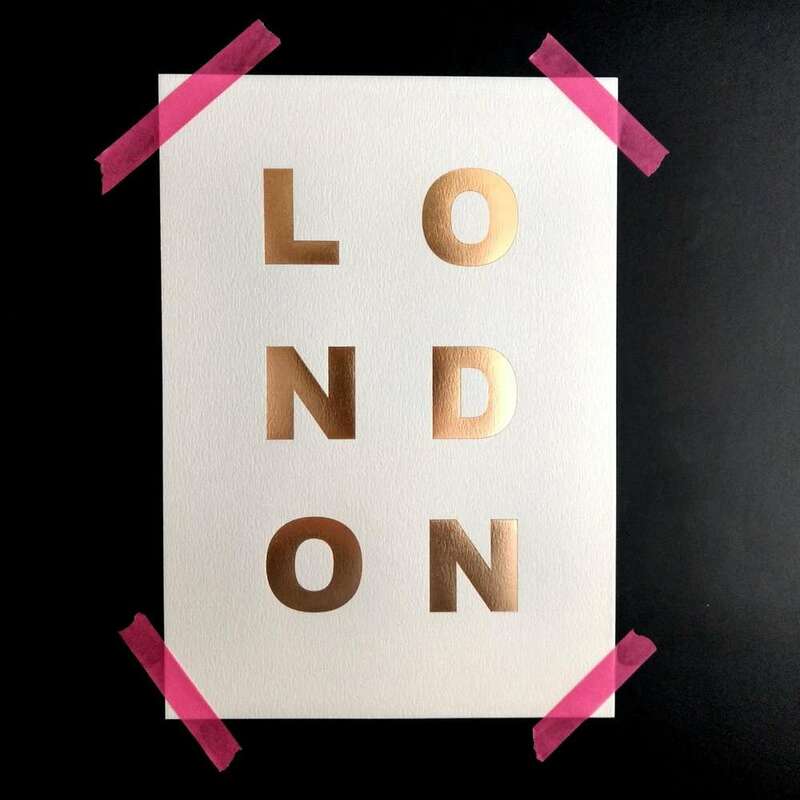 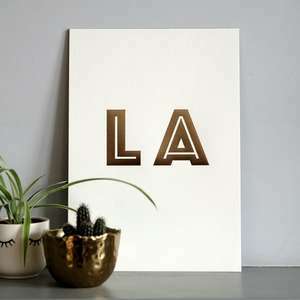 Part of a series of city themed metallic typography prints making up the City Collection, this one is for Los Angeles - bold, brash and very, very cool. 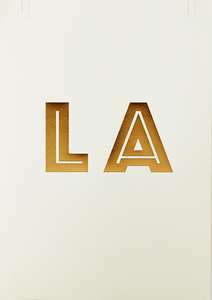 The Los Angeles print measures 210 x 297 mm and fit perfectly into a standard A4 frame. It's 300gsm cream card with metallic gold type and is packaged with a hard backed board.